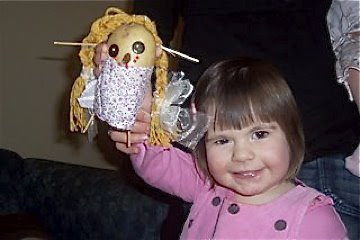 Take children's early drawing and scribble seriously - look at it, enjoy it, discuss it with your children (e.g. "What's this?" "What does this mean?" etc). I thought I'd add some more practical suggestions to my earlier thoughts on early writing. If you were to accept the findings of this research what might you do to help your preschool children to become writers? Here ten simple ideas. 1. Read to your children - It is from hearing the stories of others that children learn about language, story and the joy that words can bring. The seedbed of writing is the richness of early reading and narrative experiences. 2. Immerse your children in language - talk to your children, sing them songs, teach them nursery rhymes, engage in word and sound play, experiment with sound. 3. Tell them stories - it is as you tell (rather than read) stories, no matter how poor, that your children witness the composing process and gain an insight into how writers structure stories in their heads. 4. Show your children that pictures symbolise and represent other things - encourage them to draw and ask them to explain their drawings - What have you drawn? What does this mean? Tell me about it. Show them that multiple pictures can be used to tell a story. 5. Teach them that drawing and art can take many forms - introduce them to painting, drawing, collage, and modelling with playdough. 6. Encourage your children to use toy animals, their dolls, teddies, television programs, Thomas Trains and so on to tell or even retell stories. This is composing in its earliest form. 7. 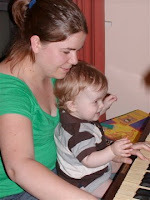 Begin to associate written words with your children's early art, scribble, modelling and so on. Show them that we can use words to record meanings, add additional richness of meaning, and record and complement one creative form with another. 8. Incidentally draw your children's attention to letters of the alphabet as they encounter them on TV, in books and in the world all around them. Show them words and demonstrate how to write them. Do this in response to their efforts tell, retell and record experiences. 9. Give your children paper and encourage them to write. This might consist of drawing, some letter formation, simple words, scribble and so on. This varied and mixed use of symbols, pictures, colour, shape and line is early writing. 10. Display their early efforts and celebrate their 'authorship' demonstrated in their drawings and early writing. The above suggestions are not meant to be sequential, but rather are ten examples of how interactions with your children can support them as early writers to gain a sense of what it means to compose, and begin to feel like an author as they record their thoughts, observations, responses and meanings. The Very Hungry Caterpillar turns 40! 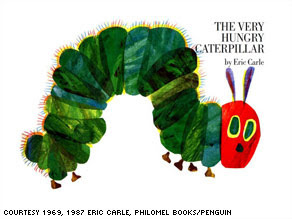 Today is the official 40th birthday of the Eric Carle classic children's picture book 'The Very Hungry Caterpillar'. The date coincides with the official first day of Spring in the USA. Since its publication in 1969, the book has been published in 45 languages, and an estimated 29 million copies have sold worldwide. It is considered by experts, parents and children to be one of the best picture books ever published. Eric Carle has written and/or illustrated more than 70 picture books. He was born in the U.S. but raised in Germany. His background is in graphic design but in the late 1960's he turned full-time to creating books after illustrating Bill Martin Jr's 'Brown Bear, Brown Bear, What Do You See?' His illustrations are collages made with his own hand-painted tissue papers. He has also co-founded with his wife Barbara, 'The Eric Carle Museum of Picture Book Art' in Amherst, Massachusetts. What makes this such a good book? We know the book is good, but why? Is it that it shares the common (and successful) narrative pattern that the central character leaves home, experiences a complication or significant event in their life before returning home or being transformed? Sendak's 'Where the Wild Things', the Dr Seuss classic 'The Cat in the Hat' (well the Mum leaves), Hans Christian Andersen's 'The Ugly Duckling', Janette Sebring Lowrey's ‘The Poky Little Puppy’, Marjorie Flack's 'The Story about Ping' and the Brothers' Grimm tale 'Hansel and Gretel' are just a few classic stories that fit this pattern. In each of these stories there is an episode of exploration, adventure or a journey, some challenging circumstances and then ultimately a return to the security of home or renewal. But this isn't the only factor contributing to the book's success. It has many things going for it, including wonderful and economical use of language. Like 'Where the Wild Things Are', there are few words, but there is still linguistic complexity and good use of repetition. There is also perfect use of illustrations that support and complement the verbal narrative. As well, there is the opportunity to count your way through this book, be introduced to the days of the week and gain an insight to the life cycle of the caterpillar. And then of course there is the clever use of page layout and book design that supports in a tactile and aesthetic way the journey in words and pictures. This is a book that the child can follow numerically, verbally, pictorially and even physically as they go on a journey with the hungry caterpillar. It is a book that is ideal to read alone and with others. It works as a book that you experience snuggled up with mum or dad as well as lying face down exploring it alone or tucked up in bed before lights out. This is a book that any child can feel they are 'reading' almost from the time they are able to hold it. I can't see many reasons to mess with this book but such a successful piece of literature was always going to be marketed and packaged in other ways. 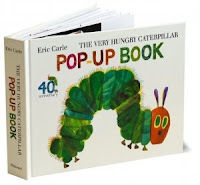 So who can blame Eric Carle or the publishers for bringing out a new edition in this the 40th year? To mark the anniversary a new pop-up version of this classic has just been released. Purists may not like the idea. It has lots of new pop-ups, to give a 3D feel to the experience; but thankfully, the art has remained faithful. 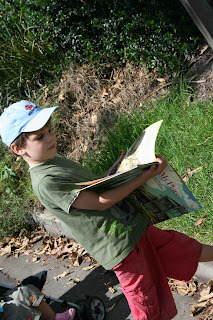 Carle has included some photos of children reading the book on his website (here). 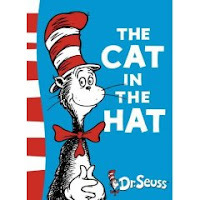 The book was adapted for Television in 1993 by the U.K.'s Illuminated Film Company as part of an anthology called 'The World of Eric Carle' that included four other Carle stories, 'The Very Quiet Cricket', 'The Mixed Up Chameleon', 'Papa Please Get The Moon For Me', and 'I See A Song'. It has also been suggested from several sources that the film rights have been sold for approximately $AUS2 million. The book is available in a variety of forms including, hardback, paper, board and 'Big Book' format for teachers. There is also a wide range of games and other merchandise available from 'The World of Eric Carle'. There are a number of video and multimedia readings of the book, you can view one of the best below. 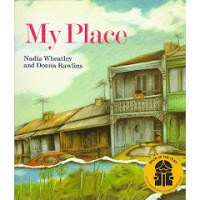 I've mentioned Nadia Wheatley and Donna Rawlins wonderful book “My Place” (1987) a number of times on this blog. 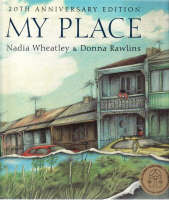 I used it as an example in my post on 'sense of place' in literature (here) and also focused on it as a book to read to children in a post on Australia day this year (here). In response to my second post my daughter Nicole read the book again to her three children (Jacob, Rebecca and Elsie). Jacob and Rebecca became even more interested in the book and this generated some more research and her own blog post (here). Nicole discovered that there is a 'My Place' walking tour of the area on which the book was based and yesterday we did the tour together and Nicole invited some others as well. The tour is run by a small historical society that has its home at St Peters Anglican Church one of the buildings mentioned in the book. Our tour guides were Laurel and Bob. Laurel has lived in the house that her parents bought in 1938 since her birth in 1945. She has watched the physical changes and different waves of immigration described in the first half of 'My Place' as part of her own life. She loves Tempe and isn't in a hurry to leave. 'My Place' was published in 1987 for distribution in Australia’s bicentennial year (1988) and makes a strong statement about the fact that Indigenous Australians were here for thousands of years before white settlement (there isn't space to unpack this). It is a very clever book that takes one suburban block and tells the story of this place in reverse chronological sequence decade by decade from 1988 back to 1788 when the first British Fleet landed at Botany Bay. The overall meaning of the book is shaped by multiple narrative recounts of the families who have lived in this spot, 'my Place' and the changing nature of the physical landscape and built environment. The book has been very successful. 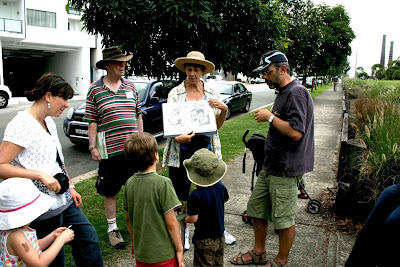 So successful in fact that the Australian Broadcasting Commission (ABC) is currently producing a 13 part drama series (details here) that will tell the story of one house in South Sydney told by the children who lived there over a period of 130 years. The producers suggest that it will be "an engaging living history series for children, and aims to show that everyone is part of history, and that every place has a story as old as the earth." They also plan to have an interactive website that will allow users to walk through the three dimensional recreation of the My Place house and see it change from generation to generation of children. My Place is a Chapman Pictures production for ABC TV. One source has suggested that the movie won't actually use the Tempe/St Peters area for shooting, but this remains to be seen. Like many books the physical details of setting in 'My Place' don't perfectly coincide with the place that was the inspiration for the setting. The authors have taken some licence with the physical setting but have sought to accurately portray the generational, environmental and social changes that occurred from 1788 to 1988. So the general waves of immigration and the impact on the Indigenous people and the environment are fairly accurate. So too is the general shape of physical sense of place, particularly the positioning of the Cook's river, the creek that runs into it (and that becomes a canal), the brick pits, the mangroves, the rock oyster beds (you'd be brave to eat these today). There is more licence taken with the built environment although even here the authors have maintained general faithfulness to street patterns and many building locations. 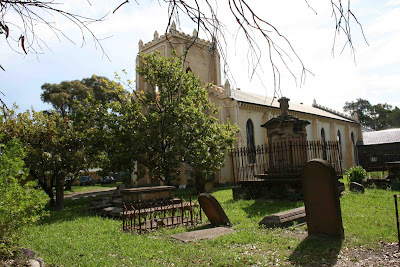 The 'big tree' that is a constant is now in someone's backyard (not near McDonalds), the Church and cemetery (1838) are where St Peters is today, the brickyards (1868) are accurately located (and still exist), there was a 'Big House' (1828) across the Cook's river which Willy the Boatman ferried people to and it was most likely Tempe House that has been preserved but now has a backdrop of high rise 'posh' apartments. Mr Owen's 'posh house' (1838) did exist (although now it has a clothing factory on the site) but it wasn't located near what we think the authors mean by 'big tree'. As you can see, the authors have achieved a close paralleling even of the built environment. One of the wonderful things about Wheatley and Rawlins book is that as well making a strong point about Australian history and the place of Indigenous Australians it is a mini primer for local history. And as any local historian will tell you, there are as many stories about a place as there are people and their lived experiences. My Place tells one story about this place but others could have been told. For me, the tour of the area threw up lots of potential stories that I'd like to know more about. For example, when visiting St Peters church Laurel mentioned the tragic level of infant mortality in the 1800s and the fact that of the 2,000 people buried up to 1894 in the St Peters cemetery that two thirds were children and two thirds of these were under 5 years old. There are individual stories that I'd also like to know more about, like Willy the Boatman who ferried people across the river in the 1820s and is buried in an unmarked grave. Parents and teachers might consider using the brilliant framework that Wheatley and Rawlins use in their book to do their own historical research on their community and perhaps even produced your own book. Here are a few ideas. a) Australian children might like to use the same chronological framework with the addition of 1998 and 2008. Overseas readers of this blog could use your own framework that in many cases could cover longer timeframes and perhaps bigger time intervals. 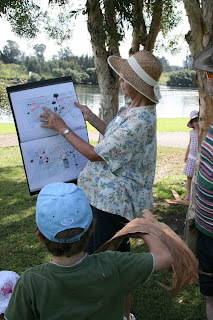 Children could be encouraged to use the same recount genre as Wheatley and Rawlins with the narrator always being a child who has lived in the place that is the focus of the retelling and who uses a map and drawings to support their story. b) As a variation to the above you could change to genre and instead write a series of diary entries, structure it as a series of post cards or letters sent to family members in the 'home' country. c) A further variation might be to tell the story of the place through the eyes of the Indigenous people or the immigrants who move into the area. Some might choose to add a period of Indigenous history to the story prior to European settlement. d) You could use family history as the framework and precede known family history within Australia with that of previous generations who lived in another country, and other places. This variation would involve research on multiple 'places'. e) Some might also like to tell the story of a house that has been lived in constantly over a long timeframe. I've thought of my own house in this way. The house was built during the 1st world war and has been home to people who were part of the different waves of British, Greek and Italian immigration throughout the last 90 years. But the history of the place can be traced back to the first British Colony (and of coruse beyond). 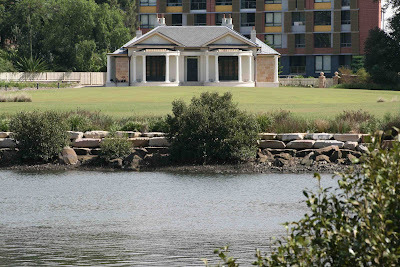 The area adjacent to the home was settled by Rev Richard Johnson (1753-1827) the first Anglican chaplain to the British Colony who came as part of Captain Phillips' First Fleet. As well as his preaching and ministry to European and Indigenous people his excellent farming skills and helped to supply grain, vegetables and meat to Sydney from the lands that included what are now parks opposite my house. The idea of visiting the site of a novel or children's picture book is an exciting way to bring to life aspects of the writer's craft as well as enriching learning about the content of the book in question. My Place is one of many books that lend themselves to this additional layer of enrichment. A special 20th anniversary edition of My Place was published in 2008. click here for more details. The new edition includes a new timeline, which traces the history of the characters in the book, as well as the history of Australia. We live in an age of increasing busyness. A 2008 Australian Bureau of Statistics (ABS) report on how Australians use their time indicated that "..we are spending less time playing, sleeping, and eating and drinking, but longer working." In response to this report and the comments of a leading school principal, I wrote a post on the topic and focussed on how parents' increasing hours of work can impact on family life (you can read it here). But there is another dimension to changing family life in our crazy and busy age. It is the loss of time for children just to play, rest and be kids. So much of our children's time is structured. As a teacher and parent I always questioned the incessant desire of schools to set hours of homework, and of parents to structure every hour after school and at weekends with planned activities. 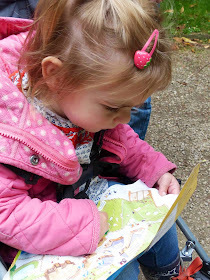 Allowing time for play inside and outside of school is important, and I have written extensively about its importance for children's learning, development, creativity and well being (see previous posts here). However, a recent research report authored by Romina M. Barros, Ellen J. Silver and Ruth E. K. Stein, has indicated just how important rest is for children. The researchers examined the amount of recess 11,000 US children aged 8 to 9 years received, and compared the classroom behaviour of those children who had daily recess, with those not receiving daily recess. Teacher's rating of classroom behaviour scores was better for children with some recess than for those with none/minimal break. It was surprising that in this study 30% of the children sampled had little or no daily recess. But is isn't just school recess that has been shown to have an impact on children's behaviour and achievement, other studies have pointed to the benefits of outdoor activities, sport and as previously discussed play. For example, in a University of Illinois study, children with Attention Deficit Hyperactivity Disorder (ADHD) were found to have increased concentration on schoolwork when simply given a "dose of nature." 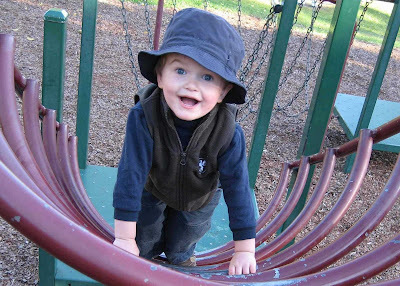 The study found that students had greater attention after a 20-minute walk in a park. Interestingly, this was more effective than a walk in a downtown area or a residential neighbourhood. The study conducted by Andrea Faber Taylor and Frances E. Kuo was published in a recent issue of the Journal of Attention Disorders. Similarly, Harvard medical researchers Chomitz, Slining, McGowan, Mitchell, Dawson and Hacker writing in the The Journal of School Health, (Vol. 79, No. 1) describe research findings that demonstrated a relationship between physical fitness and activity at school and academic achievement (here). We need to slow down children's lives. Free time is good time. 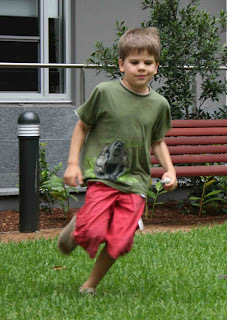 A run in the park, unstructured play, time spent 'messing around', is time well spent. Our children need time each day to put agendas and timetables to one side, to burn off some energy, to run, explore and play. My advice is that parents should make sure that children spend at least 30 minutes every afternoon outside doing something physical or unstructured. This might involve you as parent as part of the activity, but it could simply involve your child playing with other children. If children have regular rest, play, exercise and unstructured activities they will be happier, better behaved, and most likely, more successful at school. World Mathematics Day (which is called Math Day in the USA) occurs on the March 4th in 2009. A central activity on this day is the opportunity for students aged 5 to 18 years to register for the online mathematics questions, puzzles and so on. Students can compete against each other in real time with students from around the world. A game lasts for 60 seconds and students can play as many times as they wish. It's too late for schools and whole classes to register but individuals may still be able to register (well they could at 11.00pm Australian Eastern Standard time but online traffic is heavy). You can register here to be a part of World Math Day this year. 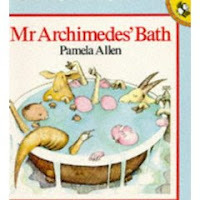 However in recognition of World Mathematics Day I thought I'd remind you that children learn a great deal about mathematics from children's literature. Some books and early children's rhymes actually try to teach children how to count; introducing them to the concept of counting and demonstrating it through words, pictures and sometimes actions. Danny started to count them. "One duck, another duck, another duck, another duck..." 'No', said grandmother. 'You know how to count. One, two, three and so on. Count them again." a) One fish, two fish, red fish, blue fish, by Dr Seuss (1960) teaches some basic maths while introducing children to many other concepts, new vocabulary (e.g.colours) and how rhyme works. 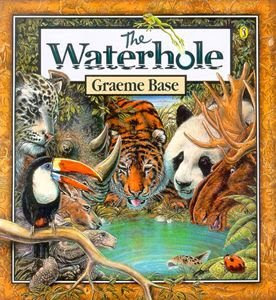 c) Waterhole, by Graeme Base (2001) again teaches counting through rich rhyme, language and incredible drawings that invite the reader to find the animals on each page and count them. This is all embedded within a simple narrative that tells the story of a waterhole and the animals that use it and what happens as it slowly dries up before finally being replenished by rain. Graeme Base is a master at including mathematical concepts and puzzles within his work. Some children's picture books are even more ambitious and attempt to teach advanced mathematical and scientific concepts. a) Counting on Frank, by Rod Clement (1990) introduces children to estimation as a smart (nerdy) and amusing boy (Frank) speculates about many things. How many dogs identical to his own would it take to fill his room? How many of his Dad could he squeeze into a television? How long it would take to fill his entire bathroom at bath time? c) The Eleventh Hour: A Curious Mystery, by Graeme Base (1988) - this brilliant book explores the concept of time while also encouraging readers to solve a variety of mathematical puzzles. All this is woven within a tale about an elephant that turned 11 years old. I've only tried to offer a small sample of literature that teaches about mathematics; there are many other examples. Why don't you read some books on 'World Mathematics Day' to your two year-old in preparation for World Mathematics Day 2012! I wrote an earlier post on the many things that children learn from literature, it may be of interest (click here). 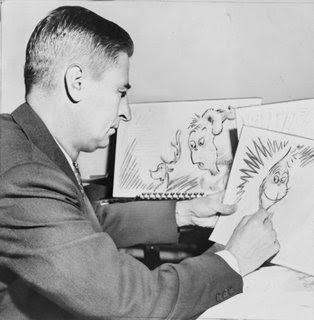 Theodor Seuss Geisel (1904-1991), better known as Dr. Seuss and sometimes Theo LeSieg, was born on the 2nd March 1904 in Springfield, Massachusetts. His mother, Henrietta Seuss Geisel, often sang her children to sleep "chanting" rhymes. Theodor (Ted) gives credit to his mother for his ability to create the rhymes that made him famous. He was an outstanding cartoonist in advertising but is best known for his wonderful children's books. It took him 27 attempts before a publisher took his first book - And to Think That I Saw It on Mulberry Street. Vanguard Press eventually published it. The story is about a young boy named Marco who as he wanders down the street sees a horse and cart that suddenly through his eyes appears to take on some special qualities. A horse and cart becomes a chariot pulled by a zebra, then a chariot pulled by a reindeer, then a sled pulled by an elephant and so on. The images have the characteristic Seuss colour, sharp lines and simplicity of language and structure. The language is rich, repetitive and rhythmic. 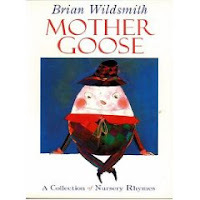 His style never moved far from this wonderful recipe but the trademark of his work was the wonderful and inventive way he used language, rhyme and repetition. It has been suggested that his work contributed words to our lexicon for the first time. For example, he used the word "nerd" before anyone else (as a nonsense word) and eventually it found its way into our language as a way to describe someone with quirky personality who is bright and somewhat eccentric.